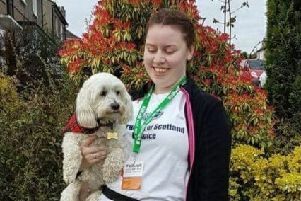 A member of staff from the Bishopbriggs branch of the Yorkshire Building Society is joining over 2,000 people across the UK by taking up the Sleep Out challenge in support of End Youth Homelessness (EYH). Customer consultant Aaron Gallagher is raising money by taking part in the Sleep Out event organised by EYH member charity, The Rock Trust, in Edinburgh on Friday, November 3. Aaron, whose challenge is part of a two year partnership between the society and EYH, said: “There are 150,000 young people at risk of homelessness this winter. That is why I am swapping my bed for a sleeping bag and raising money for our charity partnership with End Youth Homelessness. “We’re in the business of helping people buy their own homes and having a safe place to go at the end of the day is something we can take for granted.